Today we have a new idea of decorating the room. 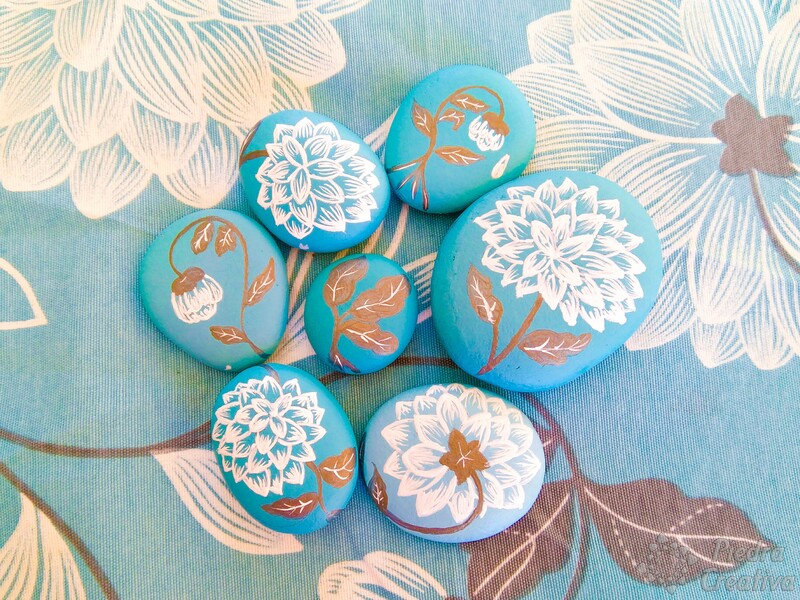 In the last purchase on Amazon I found a wonderful fabric and I thought of painting these beautiful decorative stones. With this new idea, you can decorate any room in your home. Protect the surface where you are going to paint (with some plastic or cardboard) so as not to damage it. Protégela with some plastic or cardboard. Use a bowl of water for the brushes and a few paper napkins, you can also use a packet of wipes. Now you are ready to start painting! Before you begin to paint the stones, wash them very well so that the paint grips better. Paint the stones to make the background with the color of the fabric you have chosen. We to get the same tone for the background, we have mixed the turquoise, white and green colors. Apply a couple of layers of paint, allowing to dry very well between layer and layer. 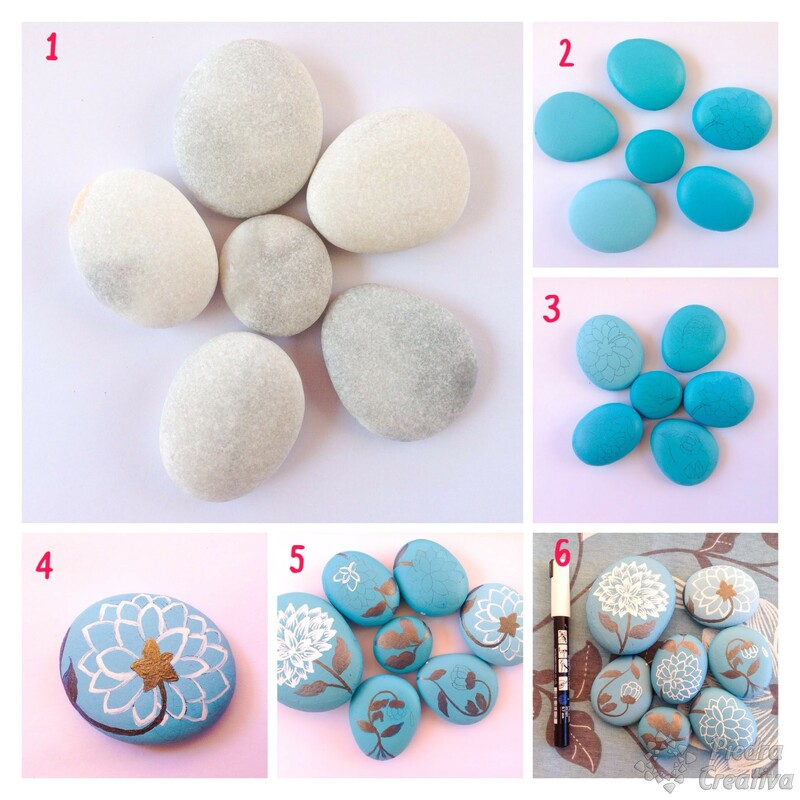 Copy the drawing from the canvas and draw it on the stone when the paint has dried. To make these flowers, outline the petals with the white marker. Then paint the stems with acrylic paint, make a blend of blue (Pursian blue, American brand) white and gold. 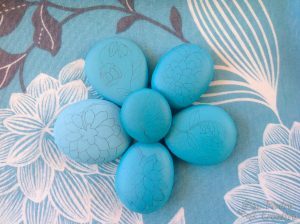 Use a very fine brush and see applying the white paint of the petals, as I do in the video. Apply a couple of layers of acrylic varnish to protect your stone crafts, so you can extend their life. This way you can clean them without fear of spoiling them and enjoy them for longer. 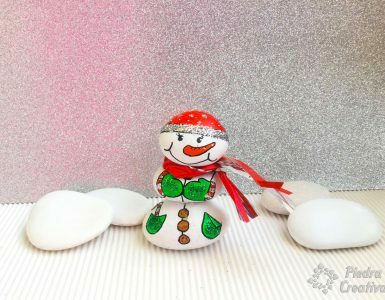 Your decorated stones are ready! If you like flowers, here I also show you a pretty mandala to decorate, or maybe you can try the technique of Fototransfer (very original type of decoration). Do you want to receive our next publications? Subscribe to our blog, it will only take you 1 minute. You can also follow us on social networks and share these ideas with your family and friends. We want to share with you the illusion and joy that our colleagues Cecilia and Sandra Stanziani have given us in this world of the Internet. 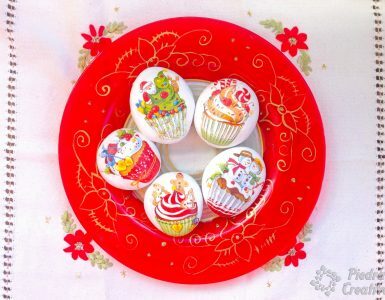 We show you the link of his blog Tutoriales de artesanía in which he has referenced us. 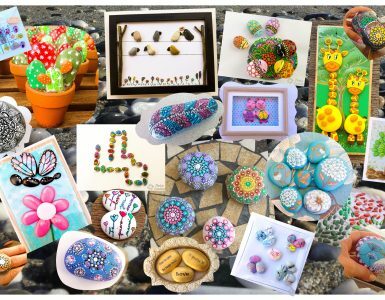 Cecilia has made a fantastic article and Sandra a stones that has inspired us in the colors used in this occasion, we have loved it! A great job! Thank you so much for Cecilia and Sandra!